1913 built for Amazon River service but taken up as H.M.S. ANT. 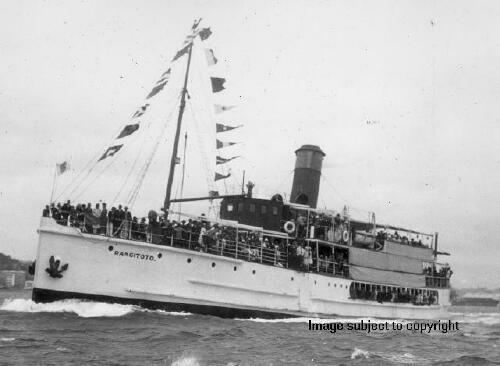 1924 brought to Auckland for excursion work by G.T. Niccol. 1925 sold to Northern Steam Ship Company. 1940 taken over by N.Z.Navy as a Battery Ship. 1941 beached at Ngataringa Bay. Engine and boiler removed for use in minesweeper MANUKA.